Lebanese-born American social media personality, actress and webcam model who ranked No. 1 on P*rnhub in December 2014. She began her adult film career in October 2014. 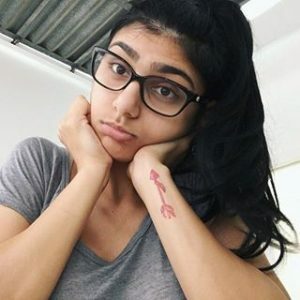 Born in Beirut, Lebanon, on February 10, 1993, Mia Khalifa‘s family is Catholic and she grew up in this religion – but not longer practices the faith. She moved to the US aged 7 in 2000. She is a graduate of the University of Texas at El Paso.